Fashion Forward Dubai returns for its tenth season from October 26th – 28th with a larger event than ever before! 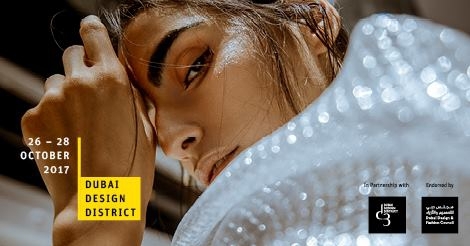 Experience creative installations, music performances, family friendly workshops, a fashion cinema and library lounge, beauty and brand activations with the d3 community, as well as a student exhibition. The Garden returns with an extensive array of the region's top jewelry and accessory talent showcasing their latest collections. d3 Fashion talks are back with some of the biggest names in the fashion industry sharing inside knowledge. Mingle at social events and after parties across d3’s lounges and restaurants, providing the perfect opportunity to wind down in between the schedule. Marking the 10 successful seasons, FFWD presents retrospective exhibitions from its archives. Be treated to stunning photographic galleries of the most iconic moments from behind the scenes, street style and on the catwalk from season one to date. Look forward with standout runway shows and presentations from the region's leading couture and ready-to-wear designers in addition to new names making their FFWD debuts for an international audience.